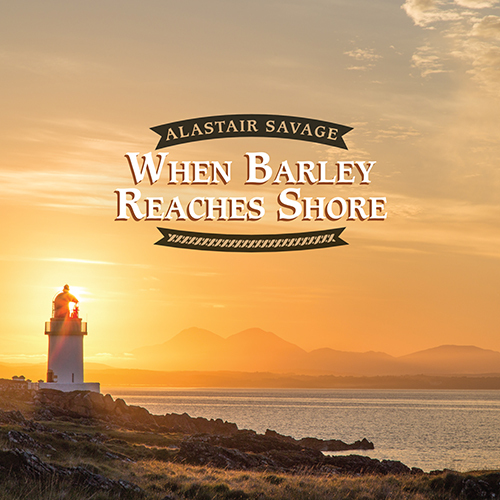 ‘When Barley Reaches Shore’ is Alastair Savage’s 5th solo album. 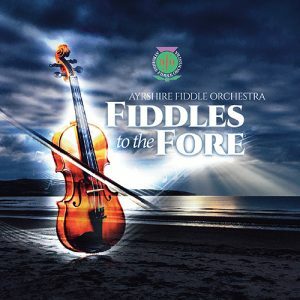 It continues his output of classic Scots fiddle repertoire by Niel Gow and James Scott Skinner included on his previous release ‘Alone Wth History’ in 2016, whilst at the same time adding the music of William Marshall, another great fiddle composer of the 18th century, to the collection. 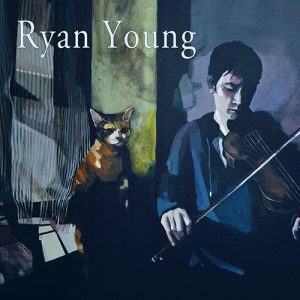 Following the purely unaccompanied fiddle sound of his last recording, this album adds to his work with Euan Drysdale on guitar and piano alongside Iain Crawford on double bass, the trio having performed together on Alastair’s earliest 3 albums. 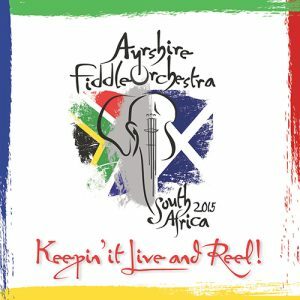 Tracks include Skinner’s beautifully haunting airs ‘Hector The Hero’ and ‘The Music O’ Spey’ alongside many of Gow’s famous strathspeys, jigs and reels celebrating the composer’s Perthshire roots such as ‘Highland Whisky’, the ‘Marquis Of Tullibardine’ and ‘Dunkeld Hermitage’. Marshall’s ‘Chapel Keithack’ is one of Scottish fiddle history’s most famous melodies and forms the centre piece of the Marshall tribute. 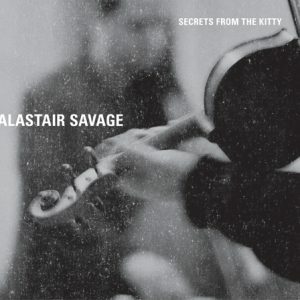 As well as the music of the great 18th and 19th century fiddle composers, Alastair includes many of his own compositions as well. On this album the ‘Islay Wedding Music’ Part 1 features melodies commissioned by friends for a wedding on Islay in 2013 and Part 2 includes tunes written by Alastair for his own wedding in 2016 on the same island. His other composition is ‘The Soldier’s Prayer’ which is a deeply poignant dedication to the British soldiers lost recently in conflicts overseas. 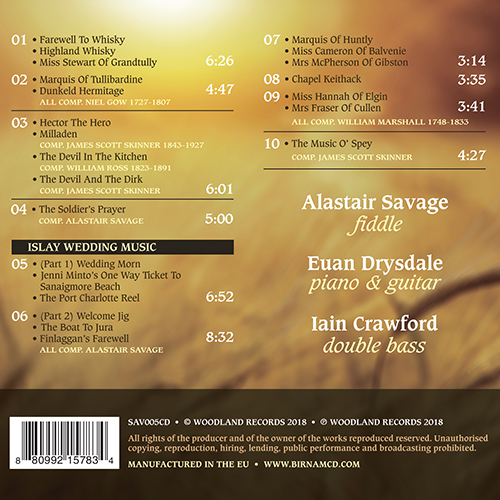 The album represents Alastair’s first recording project alongside sound engineer David Gray at the Sound Cafe near Penicuik, Midlothian. The album was recorded over a three year period starting in 2015 and David has expertly captured the individual moments of inspiration from the trio. His experience of recording many different genres of music is of great value in highlighting the contrasting styles of the tracks on the album.